National Jurist honored the 20 law students who contributed the most to their law schools and communities in the past year. Law school isn’t just about going to school. The law students who grow the most tend to be the ones who stretch and push themselves. They push themselves to help better their law schools, to help better their communities and to help those in need. For the third year, National Jurist recognizes the law students who contributed the most to their schools or communities. These leaders were involved in everything from moot court to clinics, externships or clerkships. They participated in programs that help people who face a host of problems, from deportation to female genital mutilation to child abuse. Wrongfully convicted people got out of prison thanks to their efforts. People in poverty received key assistance. 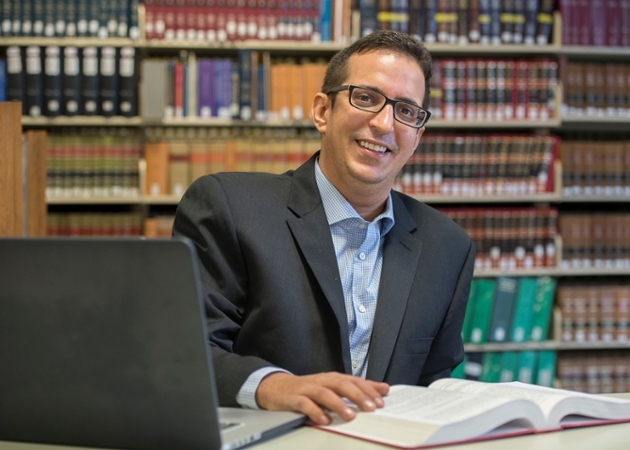 One the those students chosen from the Midwest is a third year law student, Victor Feraru. Feraru has helped his classmates by developing a student chapter of the Illinois Lawyers’ Assistance Program, and he has helped survivors of child abuse and neglect through his appointment to the Illinois Department of Children and Family Services Children’s Justice Task Force. To that role, he brings the point of view as a survivor. He was raised in more than 40 foster homes and group homes. “He will graduate from law school having already made a positive impact on the legal profession,” said Chris Behan, acting dean at SIU School of Law.